(Defiance, OH) Spring is upon us, and that means that our very own Defiance College baseball team is gearing up for another season. The Yellow Jackets are excited to start, after about a month of being kept indoors for practices. The Jackets are looking to improve on their previous season of 14-25 last season, and 11-14 in conference. They have been preseason ranked 9th in the conference, but this does not mean much to the players. They are coming back with a veteran infield, and some young talent that is making the season look like it will be a good one. Before looking at the team itself, there have been a few changes to the conference schedule for the HCAC. Now, our Yellow Jackets will only play conference teams twice, instead of a three game series. This allows the Jackets to have an extra nine non-conference games, which has helped improve the strength of schedule with teams like Carthage, Marian, Ohio Wesleyan, and even the University of Toledo. The conference tournament will also now be taking 5 teams into it, giving the top seed a buy, instead of just 4 teams. This gives the Jackets hope, because they have always been in the hunt towards the end, but cannot break the top four. The Jackets are looking forward to having some returning talent this upcoming season, including a veteran infield. This will be led by Senior Glen Collier, Junior Micheal Gilliland and Tyler Weaver, and Sophomore Tyler Weaver. The Jackets also have Alek Menyhart, Micheal Reese, Daniel Tomalak, Jon Brown, and Troy Konwinski adding depth to the infield, and competing for a starting role. The Jackets also have Mac Edwards, EJ Kissel, and Kody Fuller returning for time behind the plate, who will be challenged by newcomer Benny Bucklew. The Jackets also have Mason Rapp, Zach Johnson, and Derek Angelone to help add depth to the roster. 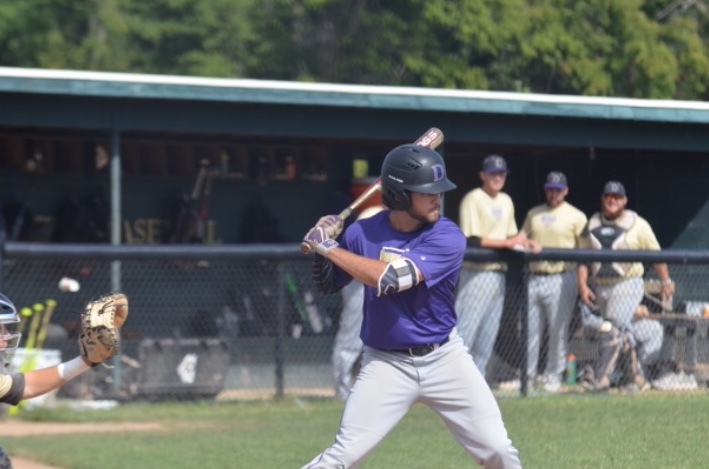 The outfield will be led by Junior Tanner Stippich, who has seen plenty of action in his first two years at Defiance. Grant Vickery will also be roaming the outfield, along with newcomer Nate Kaffenbarger, and transfer Garrett Sierra. Christian Meister, Luke Thomier, Tyler Hines, and Nolan Kestner will look to challenge the other outfielders and add depth to the roster. The pitching staff will be led by first team all HCAC Paris Creek. Following Creek, Troy Konwinski will be a staple to the staff who was the only other player to throw above 10 innings. The Jackets will also have Cody Nelson, Parker Houk, Kody King, Jon Brown, Garret Enders, and Zac Brazen who are all returners on the bump. They will also look to their young talent to help out, Micheal Reese, Jack Powell, Daniel Tomalak, Cohen Nies, along with the two transfers Grant Curavo and Will Bohlman. The Jackets start off their season THIS Wednesday at Sienna Heights for the season opener, before their trip down to Ft Myers Florida for Spring Break. If you see a baseball player, wish them good luck, and as always Go Jackets!